dhikala canter safari, online canter safari booking, dhikala canter safari, dhikala canter safari online booking, canter safari in corbett, jeep safari in corbett, official website of corbett, official website of corbett tiger reserve, official website of Corbett National Park, official website of corbett park, official website of Corbett National Park, official website of corbett park,official website,Elephant rides are offered at Dhikala, Khinanauli, Bijrani, Gairal and Jhirna during mornings and evening so that tourists can get a closer view of the jungle, its wildlife, and landscape. Elephant rides offer a unique experience There are watchtowers at Dhikala, Phulai and Jhirna, and several machans near Dhikala, Bijrani and Kothirau to facilitate the viewing of wildlife. During evenings the lodgers at Dhikala and Bijrani can enjoy films on wildlife that are screened to provide an educative entertainment to visitors. Dhikala also has a well-stocked library, which has a fine collection of books concerning wildlife and general topics. Dhikala is the finestand greatest safari zones in Corbett National Park, and the entrance to this safari zone is called Dhangari gate. Whether one goes in the deep bush or follow the wildcat, a trip to the wilderness in Corbett National Park can be life-changing. One can go to the hills or go on a speedy ride on the offshore zone of the beach, all these rides are undoubtedly amazing but the fun of the wildlife safari is extraordinary. Especially, when one does it on the canter with a group of crazy wildlife enthusiasts. If planning a group safari in Corbett National Park then the best way to experience its wilderness will be the Canter Safari, which can at once carry 16 passengers. With enclosed sitting space, canter safari is not only safe but an economical option too. In the case of any danger, the driver can speed up the vehicle and get out of the area in no time. A guard and naturalist will also accompany on the canter safari trip. It is a once-in-a-lifetime experience. 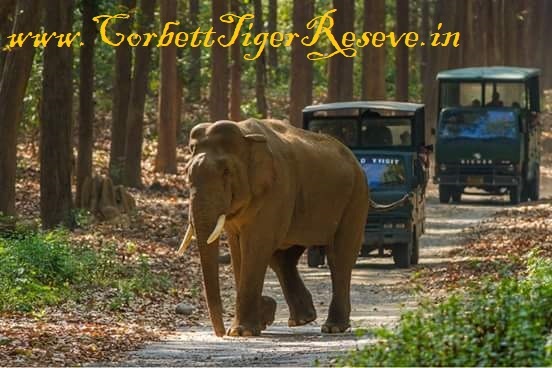 A four-hour drive through trails of the Dhikala region of the Corbett National Park, one can see wild elephants, chital, hog deer and several plush grassland bird species and of course raptors. Canter vehicles accessibility is limited to only the Dhikala zone of Corbett National Park. Due to which vehicles are limited and that's why one should book it in advance. For Indian citizens, the booking are open 45 days in advance, while for foreigners the ticket window opens 90 days prior. Bookings are available online. Summer Season Morning Safari Time: 05:30 Am. to 12:30 Pm. Summer Season Evening Season: 12:30 Pm. to 06:30 Am. Winter Season Morning Safari Time: 06:00 Am. to 11:00 Am. Winter Season Evening Season: 11:00 Am. to 04:00 Am. 1.ID Proof: DL Number, PAN Card Number, Voter ID, Passport Number, Student ID etc. 3.The Canter will be available at common point ( Corbett Receiption, Ramnagar OR Dhangari Gate, Corbett ). 4.Each Traveler has to join the Canter at their own.